Brazen as Rogue Trip’s plan to work remotely while traversing the nation may be, we weren’t about to press our luck and expect usable internet across the Great Plains. 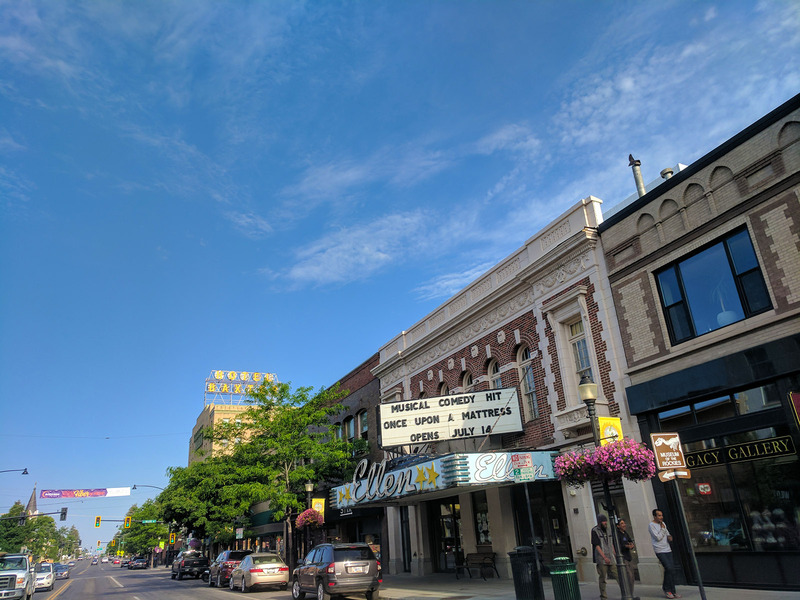 Ergo, much like our Colorado+Utah leg, we took actual vacation starting in Spokane, with the hopes of shooting out the other side (Iowa City) within two weeks. Let’s get fast and/or furious. We begin in Idaho, which is not part of the Great Plains, nor is it the West Coast, nor the Pacific Northwest according to most. What are you, Idaho?! TELL US WHAT YOU ARE!! Idaho was a real surprise, despite our short stint spent driving straight through the panhandle. 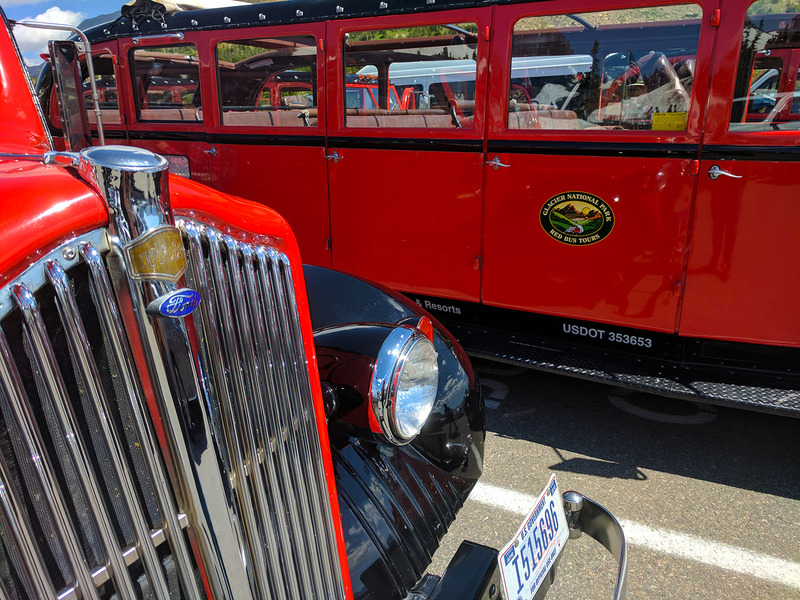 Coeur d’Alene — the resort town and the lake — was bustling with well-heeled tourists celebrating 4th Of July weekend. Power boats, sea planes, kayaks, jet skis, cliff jumping, paddle boarding, drowning… you name it, Coeur d’Alene was doing it. Hiking, too: a short but sprawling trail system can get you down to these shore points from the surrounding hills, which is how we made our way. They say [insert your favorite actor] owns a summer house here. Can you believe it?! There’s a popular walking path around the lake, indicated by statues of these moose from a locally published storybook. Here’s Mudgy. Just an hour up the road was Sandpoint, Idaho — yet another high-end resort village overlooking a lake. In this case, Lake Pend Oreille: an immense body of water, deep enough in some parts that it was used for submarine research during WWII. Someone spent way too much time designing this Montana state line sign in Powerpoint. Our third lake in 24 hours was once again a popular tourist spot and certified “cute town”: Whitefish. A gorgeous lake with the edge of Glacier National Park in view was just part of the scenery here. 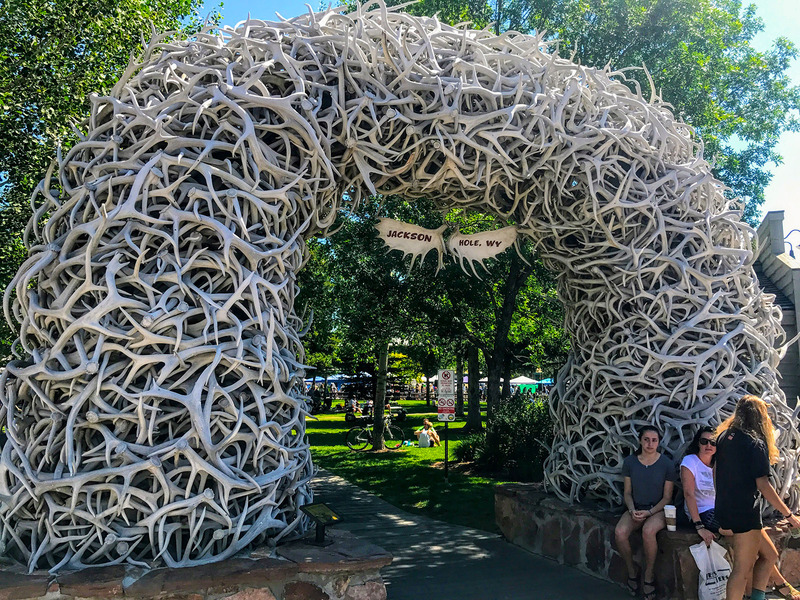 As with the Idaho areas, our fast-paced itinerary isn’t doing these towns justice on paper or in pictures. They’re all necessary stops if you’ve managed to make it to this corner of the country. 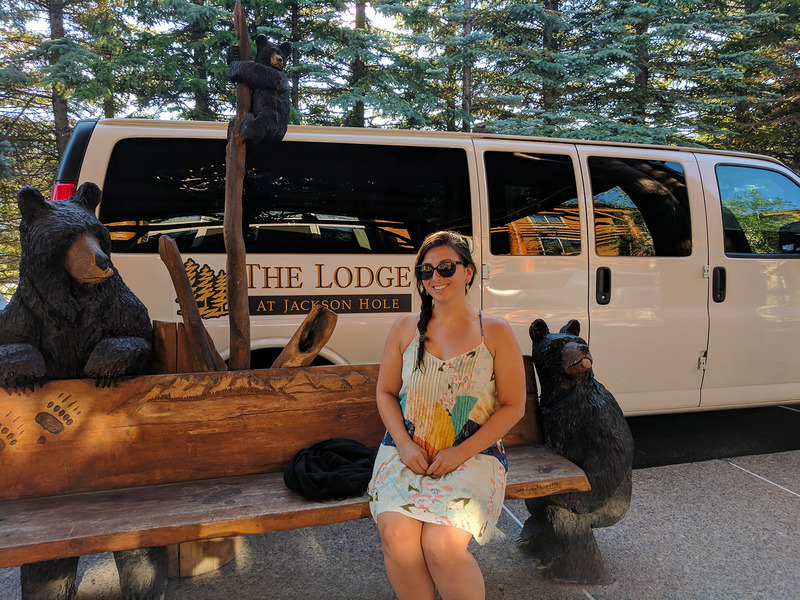 For the sake of foreshadowing, we will say this: Whitefish was the first day since Scottsdale, Arizona that we found too hot for comfortable van sleeping. Eventually we cooled down enough to pass out, but this chunk of the nation was about to encounter a near-historic heat wave. Mitch forced us to get ice cream, claiming that would help. He’s got a lot of very convincing reasons to justify ice cream. 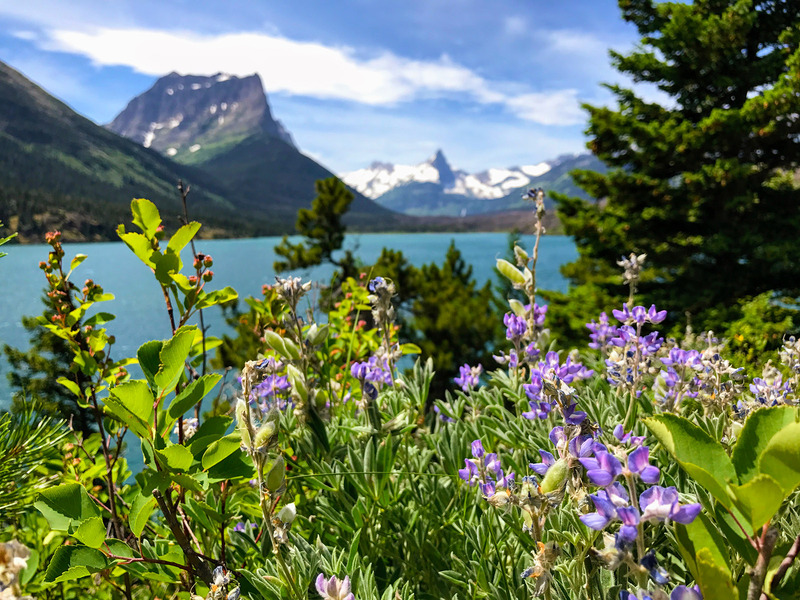 Despite sitting right in America’s backyard (and Canada’s as well, since the park splits the international border), Glacier is one of Earth’s most pristine time capsules, retaining nearly all its original native species and housing some of the planet’s finest fossil evidence. Get there soon though: scientists estimate a total loss of the park’s glaciers by 2030 if current conditions persist. The glaciers might be in trouble, but the snow sure isn’t. Here we were in July, finding that many of the park’s great hikes were covered in 4+ feet of snow. The Highline trail was closed for another reason: apparently the grizzlies here got a bit too smart for their britches, and had learned how to open up the bear-proof trash bins. They’d taken over part of the trail like a gang of greasers at a ’50s diner. 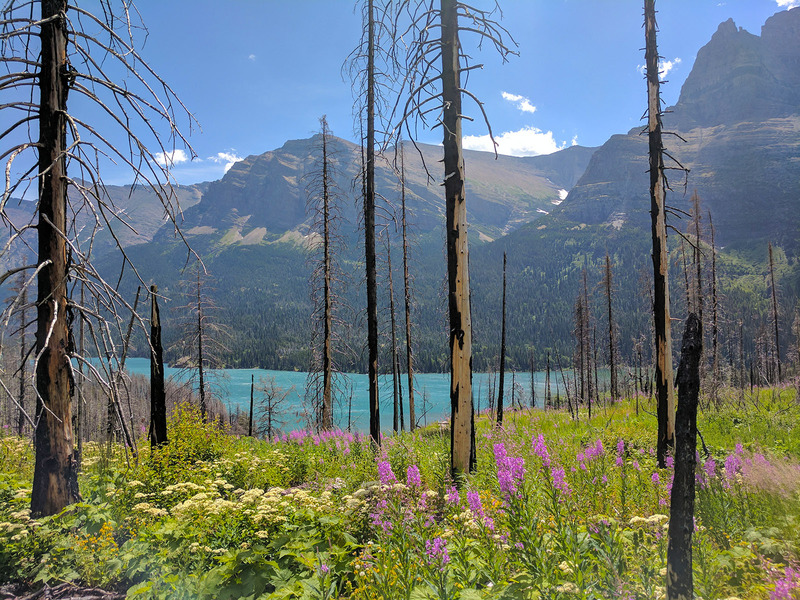 Of course, the fact that such a hike was both prohibited and bear-stocked just made Hailey more interested in checking it out, but we opted for Hidden Lake trail instead, a (legal) trek 1.5 miles out and back. Folks said it was the least snow-covered hike. 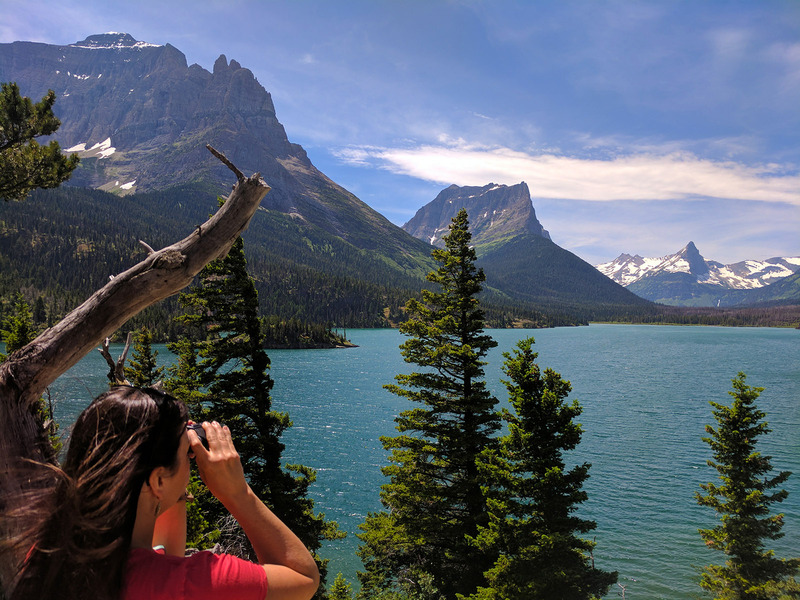 One of Glacier’s marvelous features is its Going-To-The-Sun Road, carving through the park and providing a few of its own attractions along the way. 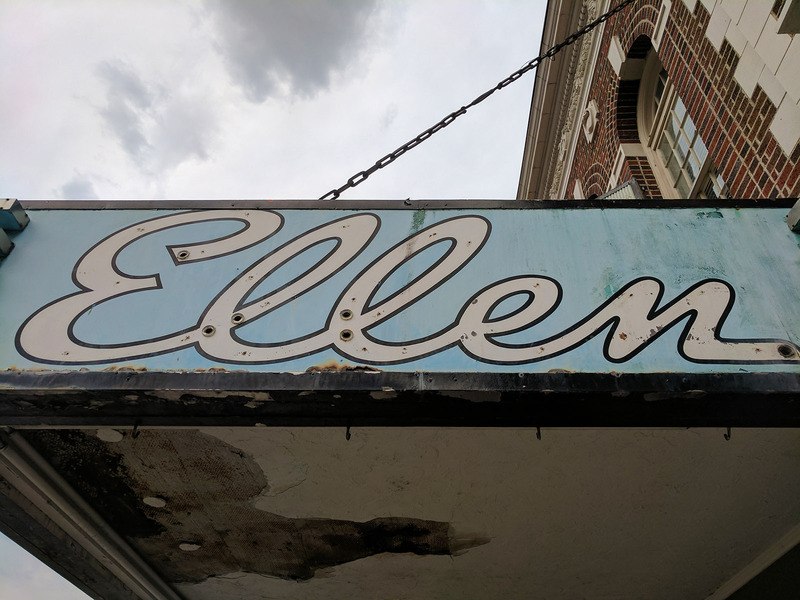 You know it from the opening scene of The Shining — that’s right, this is the final stop on our Shining Route! Can’t say it felt as ominous as it looked on screen, what with us following this guy and his two rubbernecking puppies and all. Along this here road is the Weeping Wall: a waterfall that drops right onto the pavement during its strongest flow. We found it gushing healthily and thought, now would be a good time to give Odie a car wash. Passing vehicles gave numerous thumbs up in approval, including a convertible Ferrari who was probably happy to be shielded from the falls. 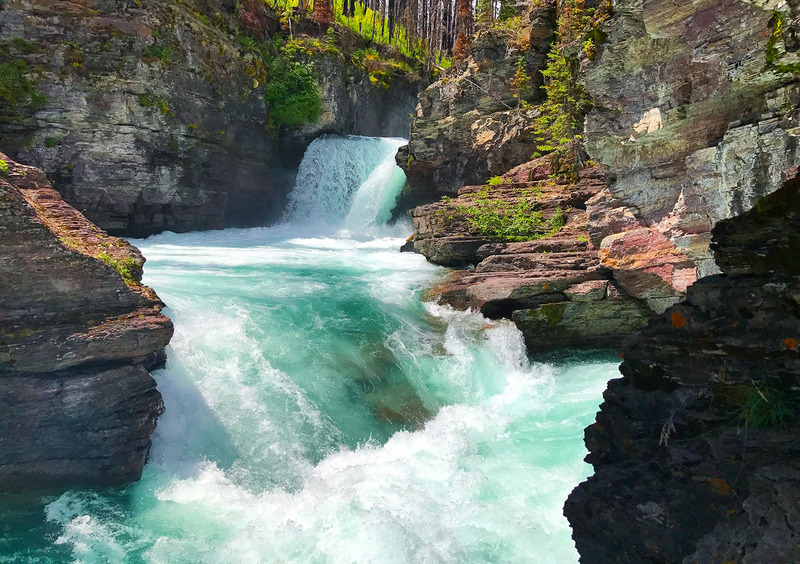 Another memorable hike in Glacier — one of Rogue Trip’s favorites, in fact — was St. Mary’s Falls. And if you skipped over that link, back your speed-reading self up and give it a click. It’s Hailey’s first published piece as an official contributor to the Outdoor Project. 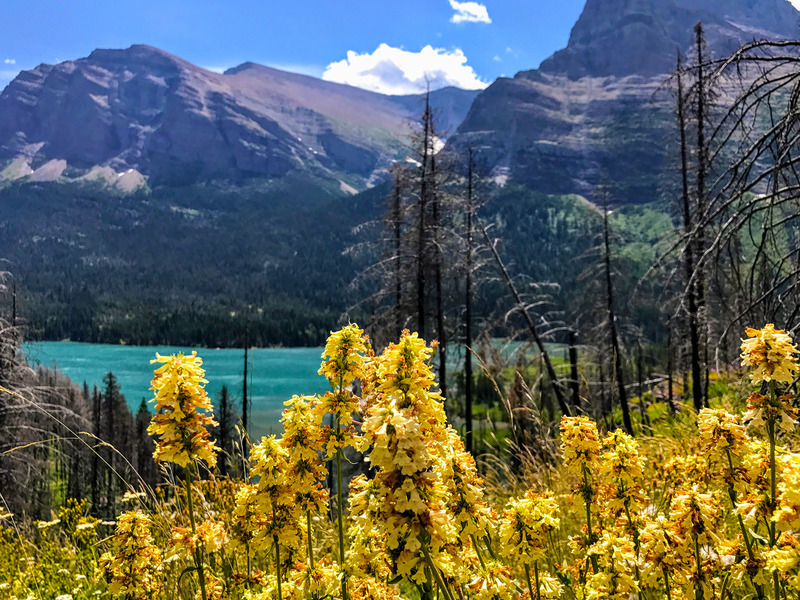 Part of the appeal of this hike, ironically, comes from a rather recent wildfire which stripped down or toppled many of the trees bordering Saint Mary Lake. The gorgeous blue water and its mountainous backdrop wouldn’t have been visible prior to this flaming incident. The falls, of course, were classic Pacific Northwest in their brute strength and technicolor hue. Just a bit further, Virginia Falls can be had for a song. Definitely recommend this hike! 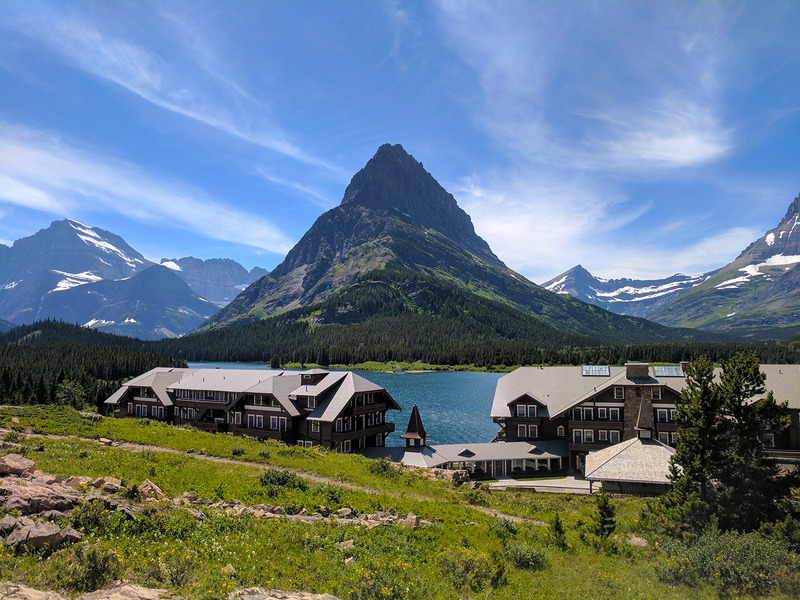 Alright, let’s wrap Glacier NP up with a spot of tea at Many Glacier Hotel, overlooking Swiftcurrent Lake. While it’s no Swiss Alp chalet, you’d be hard-pressed to find a better imposter under the Stars and Stripes. Great job, Montana! 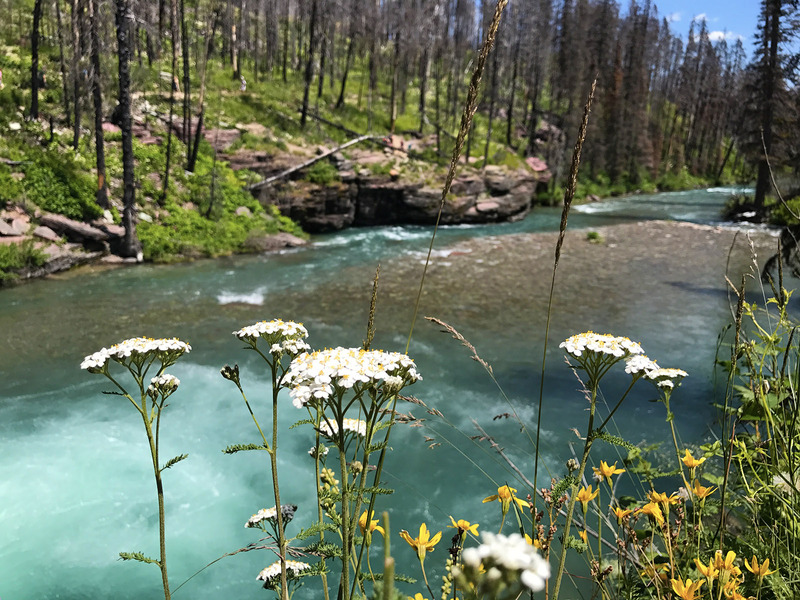 We’d love to show off more of Big Sky Country, but this blog post has bigger fish to fry and little time to waste. Also captured with Hailey’s new “gunsight” camera style: pronghorn deer. Wait, nope! Also elk. Everything is elk. Nothing is moose. Oh by the way, we’re in Wyoming now. And of course, Old Faithful… which we conveniently strolled up to about ten minutes before its scheduled eruption, which turns out to be around every two hours. Bonus in the last few seconds: Mitch zooming in on one of the many nearby tourists who felt the only good picture is one that block’s someone else’s view. Here are a few more bison shots. 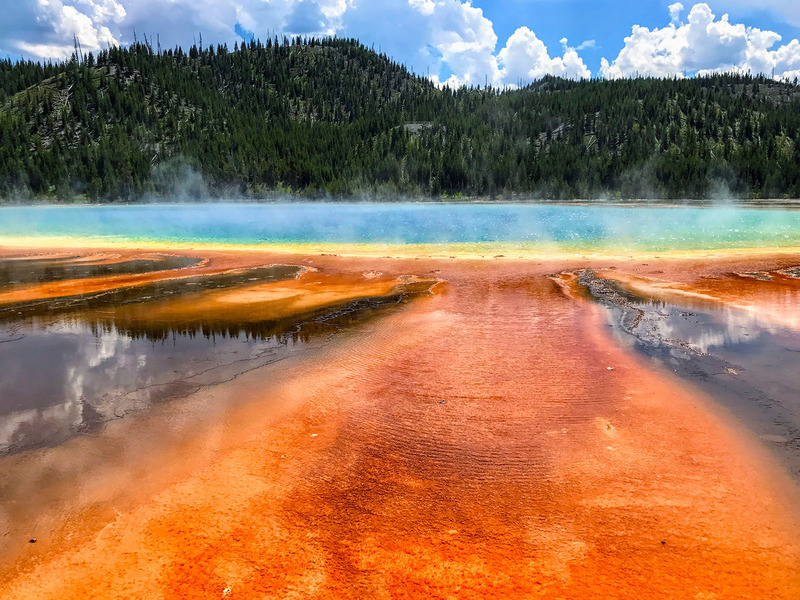 They are easily the best ambassadors to U.S. national parks: stoic, immovable forces, but weathered and a bit beaten up upon further inspection… and yet, seemingly at peace with the fact that the world around them is changing. 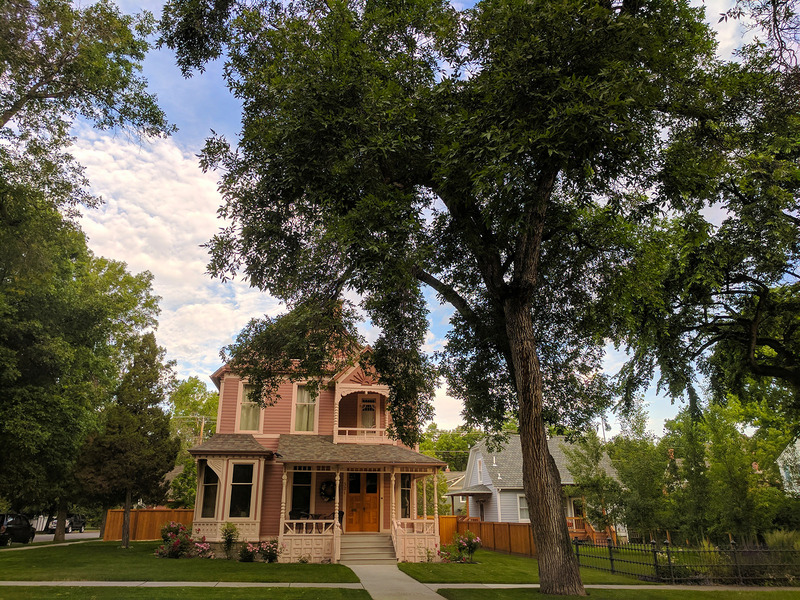 Now, we took a somewhat confusing route from Yellowstone, as we planned to spend three days there, but wanted to dip back out to Idaho for the city of Idaho Falls, and splurge on a hotel in Jackson Hole, WY before hitting the Grand Tetons. 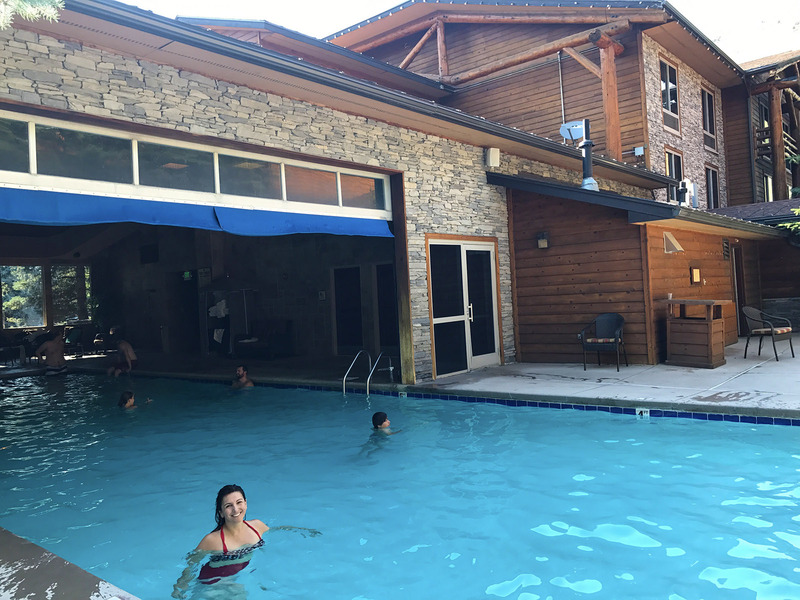 Here’s The Lodge at Jackson Hole, with an indoor/outdoor pool just right for the 90-degree weather. No shortage of whittle bears hanging around this place! This is a rodeo. This is Mitch’s first rodeo. Luckily, Hailey was there to confirm it’s a rather rinky dink rodeo compared to the legitimate ones she’s attended. Also, no bulls. No moose, either. Perhaps it’s the unbearable number of mosquitos talking, but Moo’s in Jackson Hole is easily a top five Rogue Trip ice cream shop. 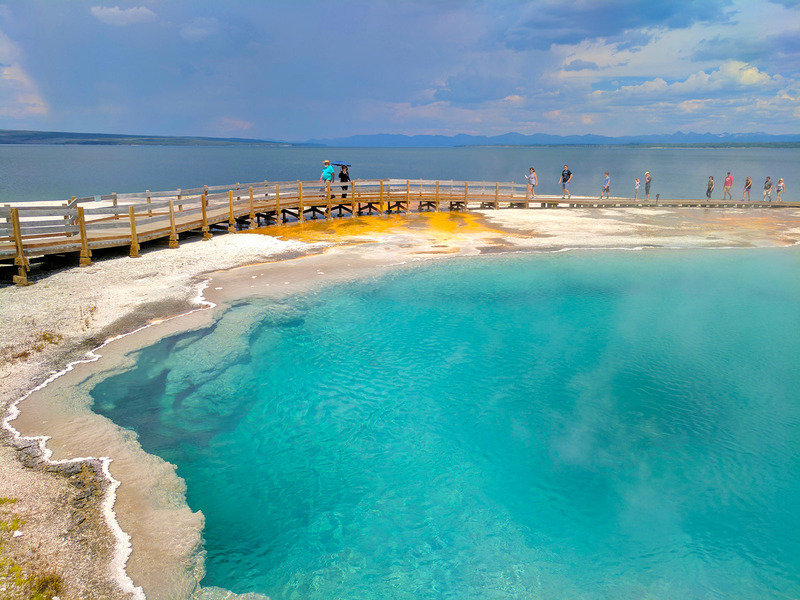 Yellowstone is so preposterously expansive that it almost seems silly to draw a border between it and Grand Teton National Park, which is just a short drive down the road. Nevertheless, these peaks would stand out anywhere. Our time was short here, but we did squeeze in a hike around Jenny Lake, leading to the refreshing Hidden Falls. We backtracked the lazy way: by boat. Then, a bit of nostalgia: Hailey had visited Triangle X Farm as a seven-year-old, spending a vacation week riding a horse called Homer. A quarter century later, she was back to say hi. In perhaps the best outcome possible, the attendant Hailey asked said, “I’ve only been here a few weeks, so I don’t know all of the 120 horses’ names.” Yeah, let’s leave it at that. See ya in 25 more years, Homer. Our final mission in Grand Teton was to find a damn moose already. Apart from the heat, the mosquitos, and Mitch’s fear of actually being confronted by the animals we were trying to see, the conditions were perfect. Still, NO MOOSE! 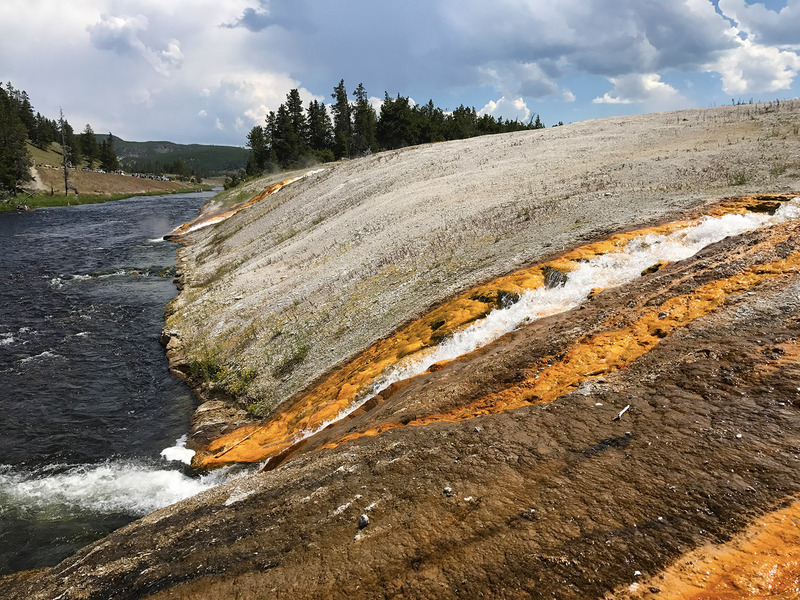 We hung our heads in shame and drove back up through Yellowstone, capping the park off with this wondrous view of Lower Falls at Artist Point — easily the most memorable view of the Yellowstone River. Let the directional confusion continue as we navigate back up through Montana to drive one of America’s greatest roads: Beartooth Pass. High, fast, and undriveable outside of summer months, like any great stretch of pavement. 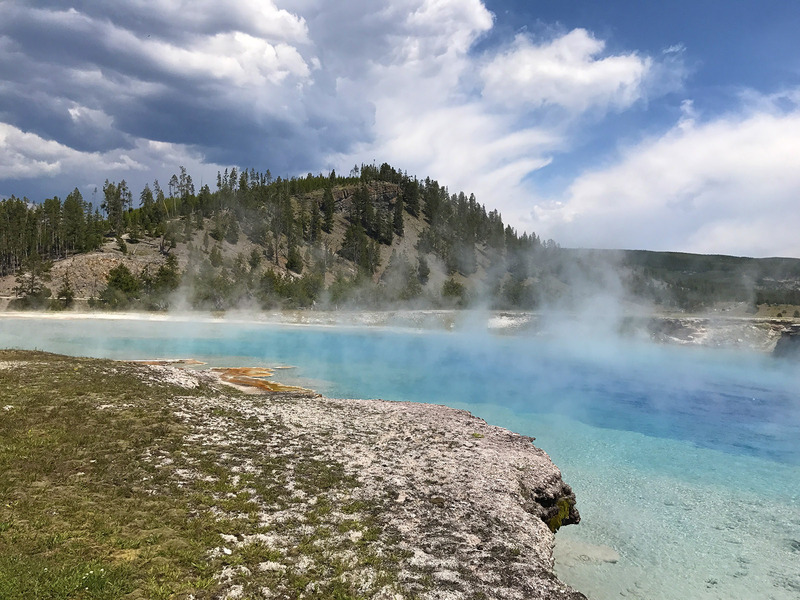 So, technically we already spent a bunch of time in Wyoming, at Yellowstone, Grand Tetons, and Jackson Hole. But like we said, it’s best not to overthink this stuff. 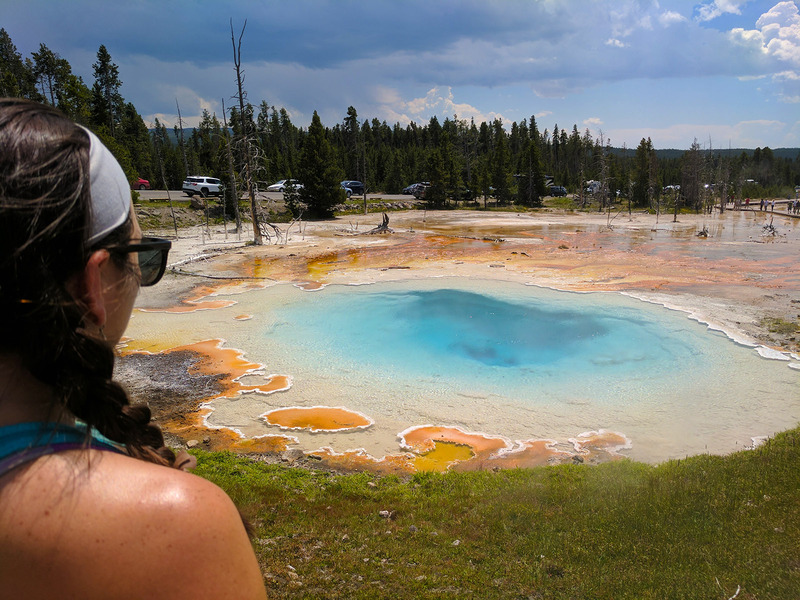 For those of you who have been wondering how we’ve managed to escape the road trip stereotypes of mind-numbing highway drives and one-horse towns… we met our match in Wyoming. In all fairness, it was still gorgeous. Last stop on this leg was Devils Tower: America’s first national monument, and one of imposing proportions, at that. As far as the name goes, that too sounds imposing, until you find out it was a botched translation of the Native American folklore which revered this rock as holy ground. Hey, we all make mistakes and refuse to acknowledge them forever sometimes.